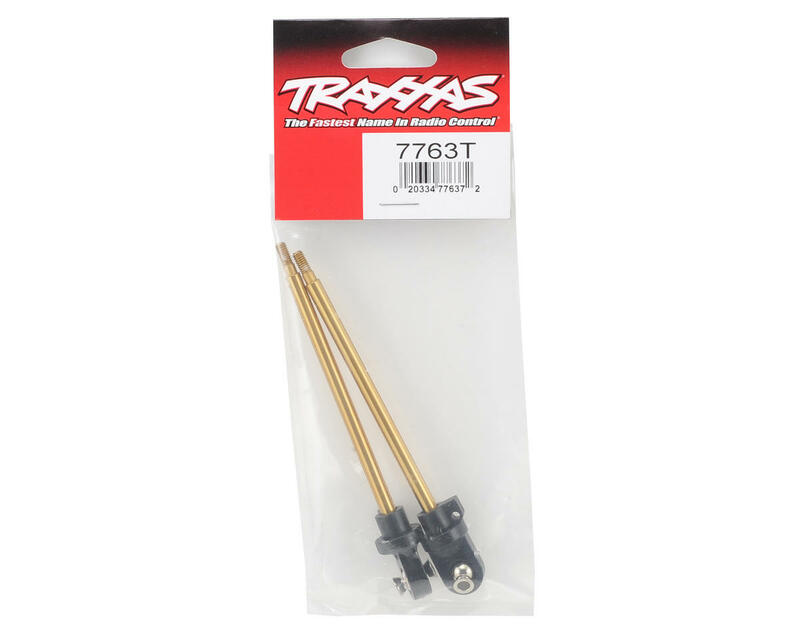 This is a pack of two optional Traxxas GTX TiN-Coated Shock Shafts for the Traxxas X-Maxx Monster Truck. 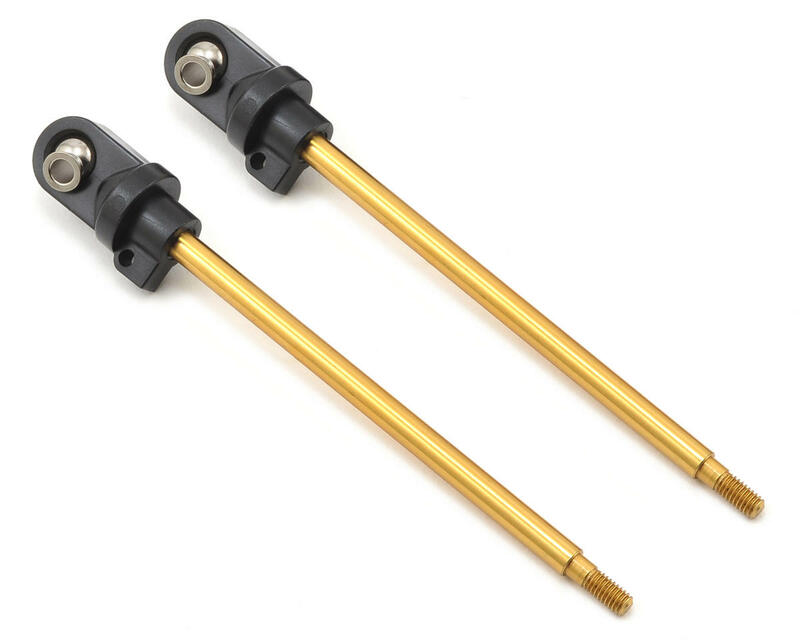 These shock shafts are Titanium-nitride coated to help resist scuffing, increase durability and eliminate "stiction." Shafts come with assembled ends and steel hollow pillow balls.